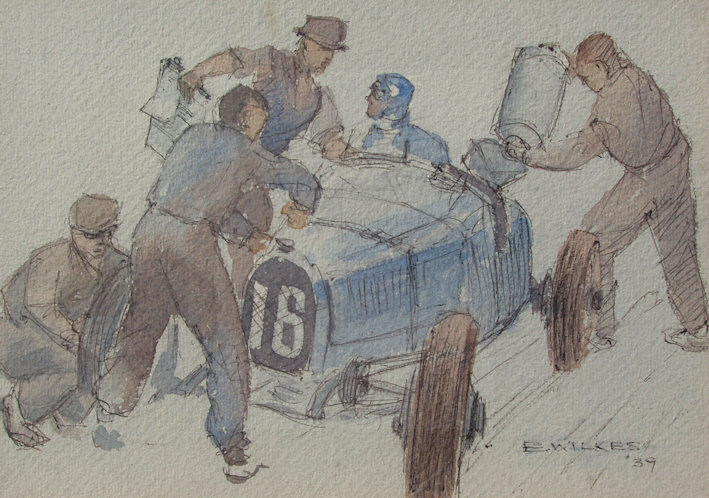 Staff artist for The Light Car magazine in the 1930's. having joined the Temple Press in 1932. Also did some work for The Motor magazine. 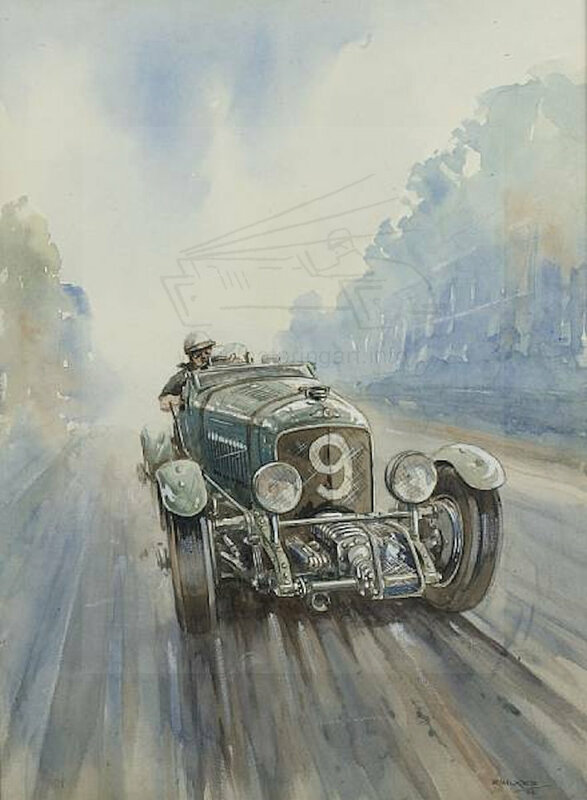 After the war he worked for the Rootes Group where he was in charge of the car styling department. He then formed his own industrial design company. 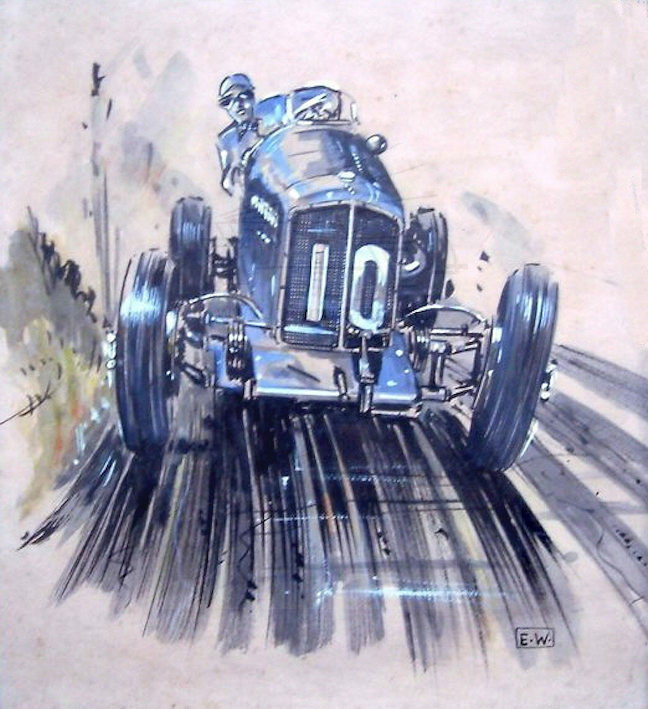 He was also a well known pre-war competitor in hill climbs and sprints,. See Jeremy Wood's -Dictionary Of Neglected Artists. 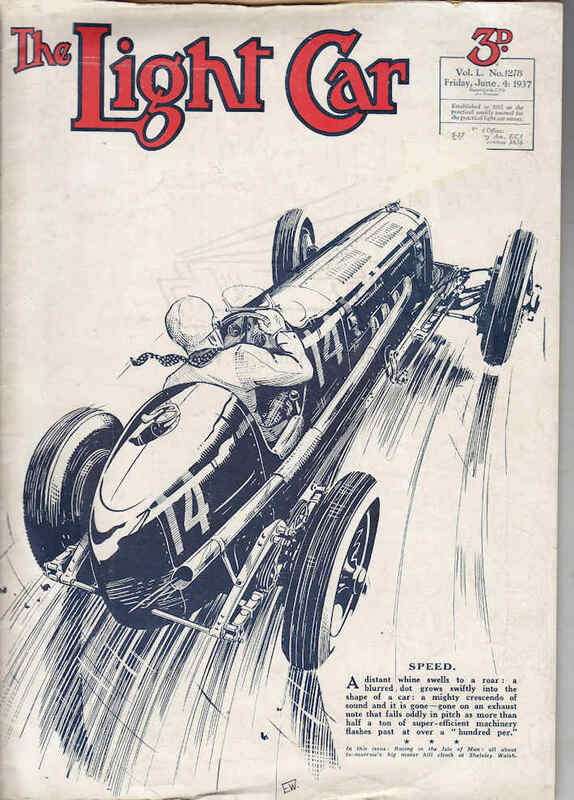 Also contributed to Bugantics see September 1934. Sometimes signed his work with EW in a box.